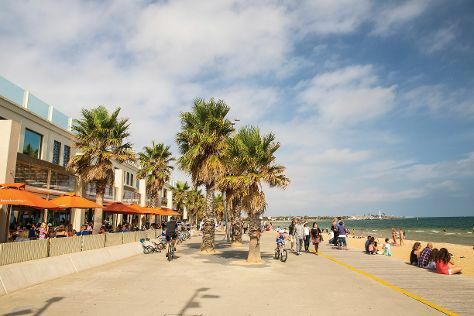 You'll enjoy a bit of beach vacationing at St. Kilda Beach and Catani Gardens. Get in touch with nature at Royal Botanic Gardens and Balloon Rides. Explore Melbourne's surroundings by going to The Great Ocean Road (in Torquay), Werribee Open Range Zoo (in Werribee) and Eastern Beach Reserve (in Geelong). Next up on the itinerary: get to know the resident critters at Melbourne Zoo, brush up on your military savvy at Shrine of Remembrance, explore the world behind art at National Gallery of Victoria, and let your taste buds guide you at a local gastronomic tour. For reviews, maps, and more tourist information, go to the Melbourne day trip tool . If you are flying in from Singapore, the closest major airport is Melbourne International Airport. In June, daytime highs in Melbourne are 16°C, while nighttime lows are 6°C. Wrap up your sightseeing on the 8th (Sat) to allow time to travel back home.